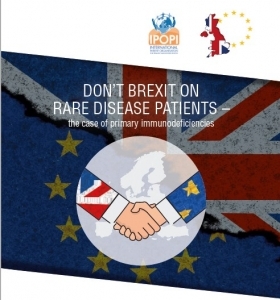 The International Organisation for Primary Immunodeficiencies (IPOPI) is launching today a set of Recommendations for UK and EU policy makers to protect rare disease patients in the Brexit process. 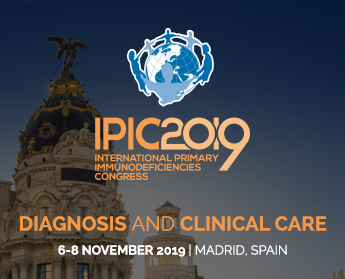 The Recommendations emanate from the 8th IPOPI PID Forum ‘Don’t Brexit on Rare Disease Patients – the case of primary immunodeficiencies’ held at the European Parliament. The event brought together patient representatives, medical experts and numerous MEPs including Seb Dance, Linda McAvan, Catherine Bearder, Carlos Zorrinho and Marian Harkin who have expressed their full support to rare disease (RD) and primary immunodeficiency (PID). The Recommendations aim to ensure that patients with PID and other rare diseases both in EU member states and the UK can continue to benefit from the best possible access to diagnosis and specialist care. They also seek to secure that research and collaboration between healthcare professionals and researchers will not be impaired following the Brexit referendum. Legislation such as the Directive on Patients’ Rights in Cross Border Healthcare has transformed the possibility for rare diseases patients toaccess specialist treatment and diagnosis facilities within the EU. The Recommendations are a tailor-made case study on the need for integrated health and research policy in Europe as British centres have have been amongst the leading forcces which forged the way for new treatments for patients and lead multicentre clinical trials across Europe.